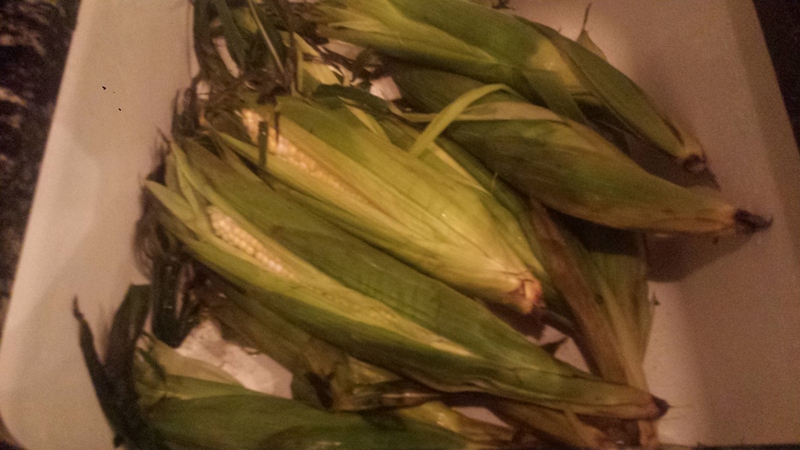 Nothing says summer like fresh sweet corn. 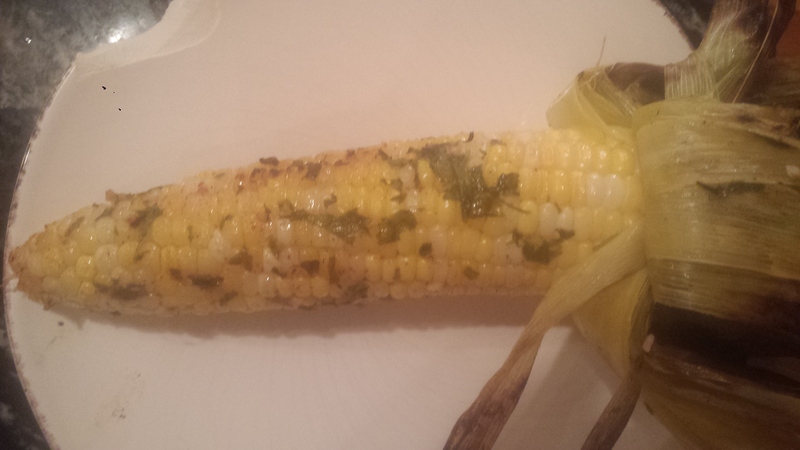 Add herbs, spices and butter, then grill corn right in it’s own husk for a delicious treat! Corn is an interesting crop in that it is considered both a vegetable (when you eat it as corn) or a grain (when it is popped as popcorn) so it deserves props for diversity as well as providing nutrition and lots of much needed fiber. Corn is flavorful on its own, especially while it is in the peak of its season. This is the time of year when it has the best flavor, is the least expensive and locally grown varieties are widely available. Since much of the corn produced today is genetically modified (GMO), purchase organically grown corn to avoid GMO corn. If you want to know what is wrong with GMO foods, click here. 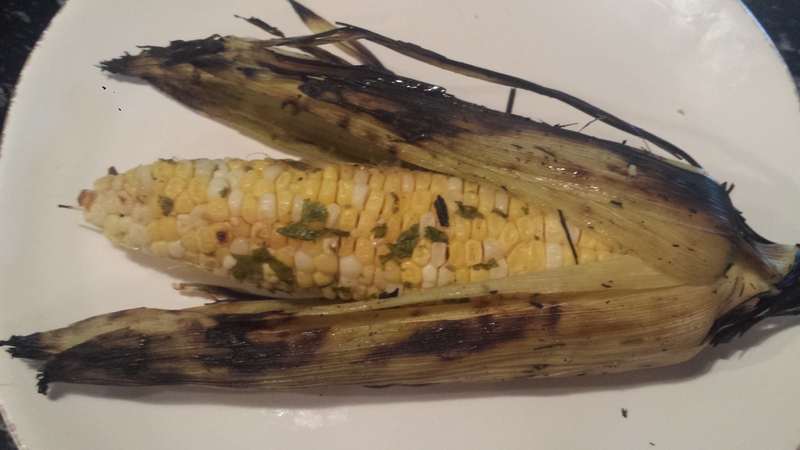 Grilling corn is easy and fun. You can just throw them whole on the grill or you can season them first with a yummy herb butter. 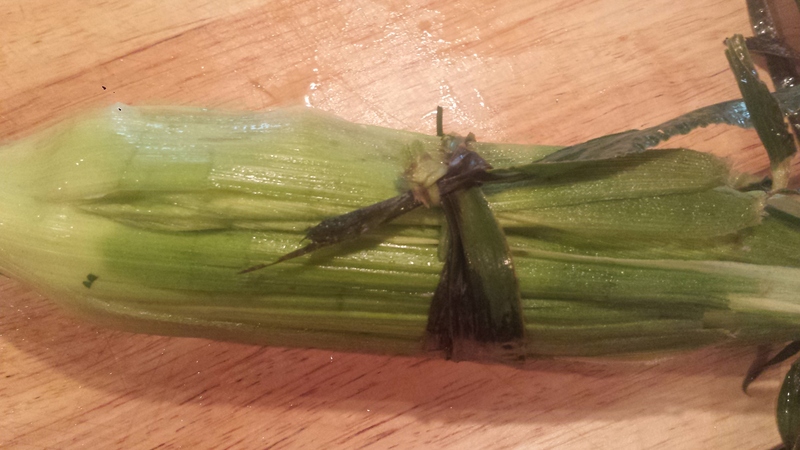 Pull the husks down, without removing them from the cob, and remove the silky threads. Then soak the cobs in cold water to keep the husks from completely burning and to provide enough moisture for the corn to steam. Without the soaking, the corn will be chewier but still tasty. 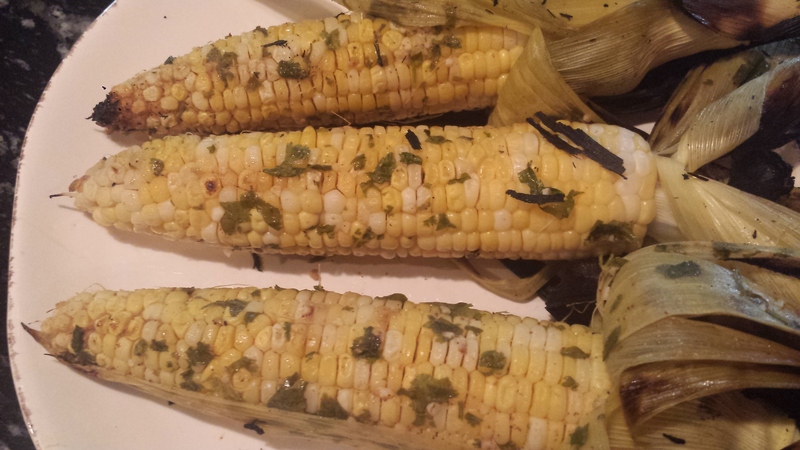 Then liberally spread the corn kernels with butter, herbs and spices and close the husks back up. Tying the husks closed is optional. 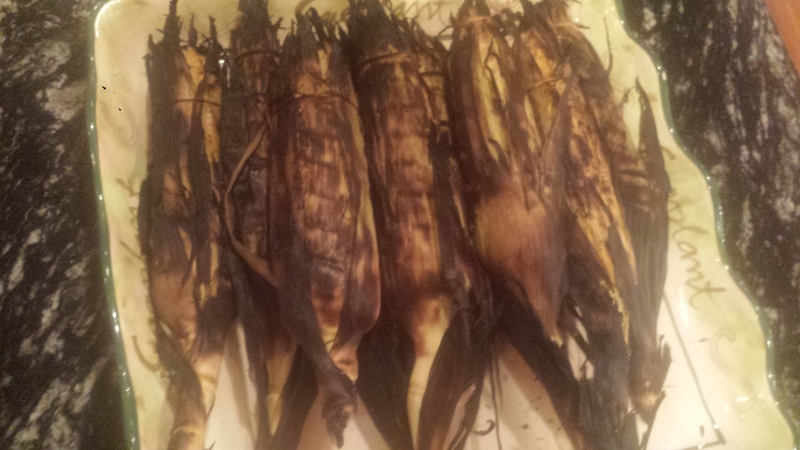 If you like charring, then leave the husks slightly open. Grill for 15 minutes or so, turning every 5 minutes until all sides are charred. Pull back the husks and enjoy! Pull the outer husks down the ear to the base. Strip away the silk from each ear of corn by hand. Fold husks back into place, and place the ears of corn in a large container of cold water (or kitchen sink filled with cold water) for 20 minutes to an hour. This step provides extra moisture to steam the corn and keep the husks from completely burning. Combine butter, garlic, herbs and spices in a small bowl. Set Aside. Remove corn from water and shake off excess. 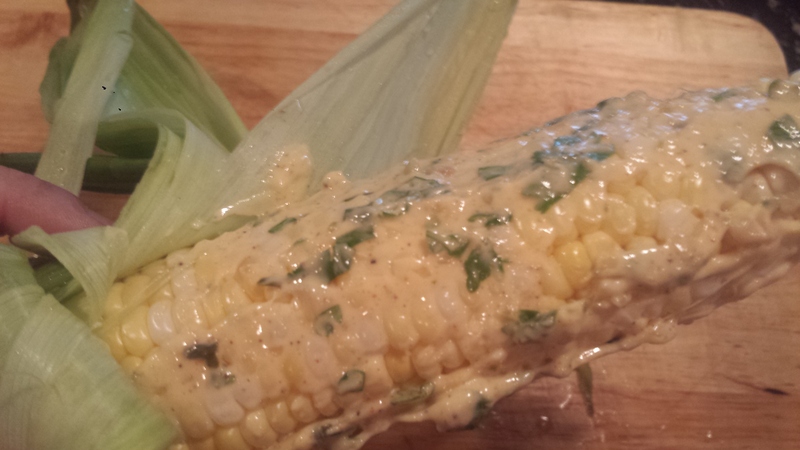 Pull husks back down and spread corn kernels liberally with herb butter. Pull husks back into place and tie closed with a string (optional). If you don’t have string you can tie with a long piece of husk or just grill without tying. 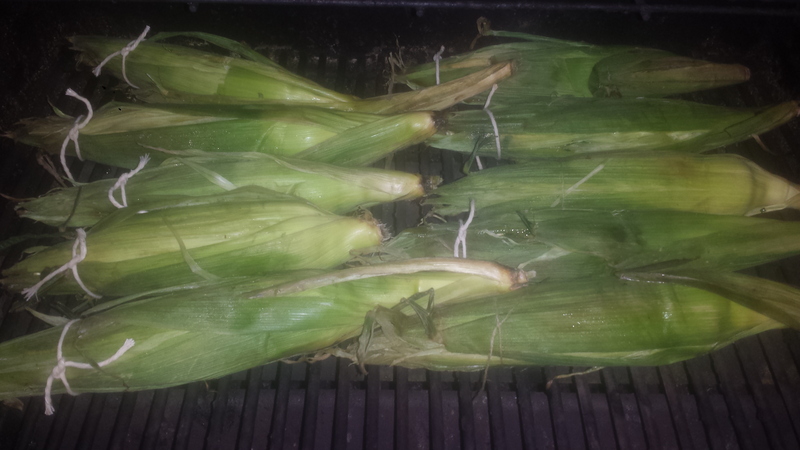 Place the corn on the grill, close the cover and grill for 15 to 20 minutes, turning every 5 minutes. Remove the husks and eat on the cob or remove the kernels. Serve with any remaining herb butter. This entry was posted in All Recipes, vegetarian, Wheatless Wednesday and tagged corn on the cob, corn with herb butter, gluten free, grilled corn, grilled corn on the cob, sweet corn, vegetarian, Wheat Free. Bookmark the permalink.